Good to see that work by Greenwich’s Labour council to widen the cycle lanes on Charlton Road (and move parking bays so lanes are no longer blocked by parked cars) is almost complete, making cycling between Blackheath Standard and Charlton a lot easier and safer. Greenwich has not got as many cyclists, or cycle lanes, as London boroughs like Hackney and Lambeth but this is changing. A new Cycling Strategy, agreed by the council’s cabinet earlier this month, includes an ambitious Action Plan for a new network of cycle lanes and Greenways including a new east-west route along Kidbrooke Gardens and Westbrook Road, making Kidbrooke Park Road safer for cyclists, and a new north-south cycle route parallel with Westcombe Hill (exact route yet to be decided). The percentage of all journeys done by bike has tripled from 1% in 2005 to an estimated 2.9% now. The strategy sets a target to increase this to above 5% by 2025, and to double the percentage of adults cycling weekly from 7% in 2010 to 16% in 2020. Thanks to new cycle lanes and a lot of training in schools cycling has already got a lot safer: the number of cyclist injuries in Greenwich halved between 1999 and 2011. And according to maps included in the strategy’s ‘Evidence Base’, residents of Blackheath Westcombe ward are already cycling more, and are more likely to take up cycling, than most other wards. Cycling is green, cheap and healthy and despite its steep hills commuting between Greenwich and central London is easily done by bike. The problem, as always, is funding. Greenwich relies on annual bids to Boris Johnson’s Transport for London for almost all spending on cycle lanes and so on: they only get built if the bids are successful. Greenwich has secured over £1m of TFL funding for new cycle lanes, signage and cyclist training in 2014-17, but wanted a lot more. Boris talks a good talk on cycling but plans to extend Cycle Super Highway 4 (CS4) from central London to Woolwich via Greenwich by 2015 are still at the development stage, and there are no signs that the Barclays Cycle Hire scheme will be extended to Greenwich anytime soon. Most media coverage of cycling in Greenwich in the last couple of years has focussed on the rocky relationship between the council and the Mayor’s cycling commissioner, Greenwich resident Andrew Gilligan. 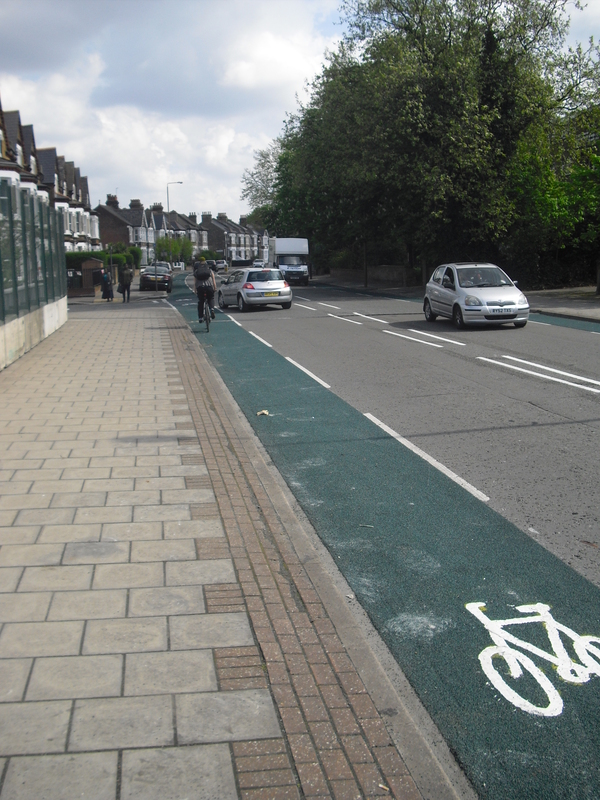 But on the ground and without much fanfare, lots of improvements are being made to make cycling easier and safer in Blackheath and Westcombe Park despite the council’s limited funds. If anything the Cycling Strategy understates what the council is doing (for example, its map of cycle racks misses out the racks on Stratheden Road and Old Dover Road outside the Library). 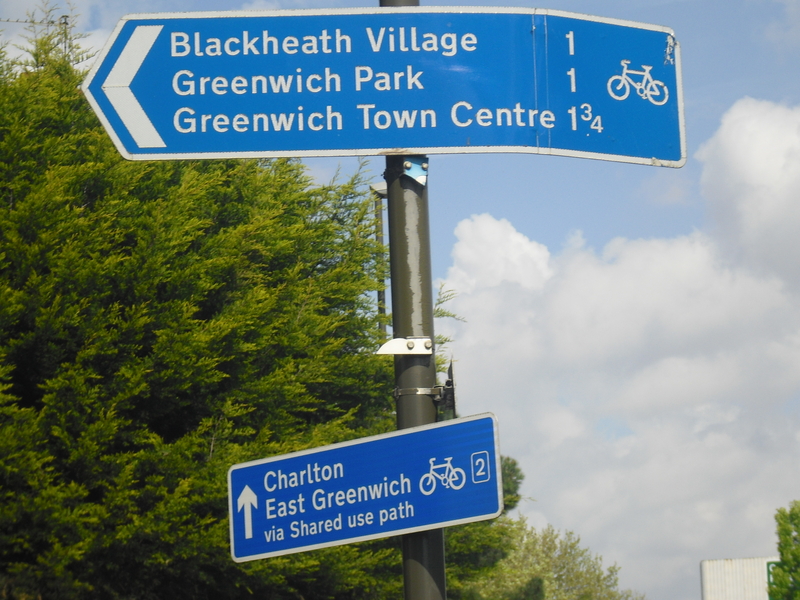 In 2010-2011 a Peninsula ward Labour councillor (and Blackheath resident) Mary Mills chaired a review of Greenwich’s cycling capacity and facilities, and a recent summary of how the council is responding to it can be found here. 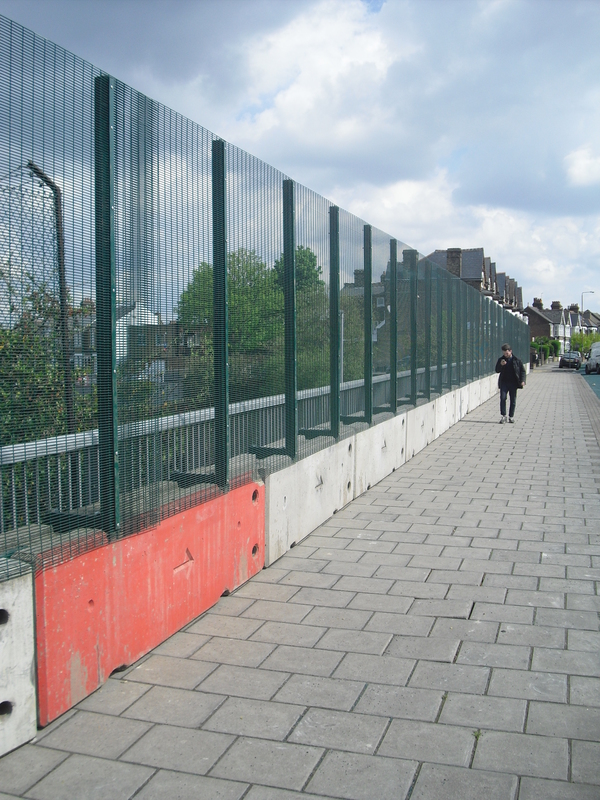 The council has recently consulted local residents on improved cycle lanes, and better pedestrians crossings, on Woolwich Road between the motorway and Blackwall lane (see here for more details). There are plans for new 1.5m wide cycle lanes at the southern end of Maze Hill, making it easier to cycle to and from Greenwich Park. At Westcombe Park Station, SouthEastern have recently put in new cycle racks on the south side of the station, and replaced the old racks on the north. Greenwich has successfully bid for £72,000 funding from TFL for better cycle parking at 14 housing estates. One of these is Beaconsfield Close, where a new ‘Bike Hanger’ has just been installed. Disused pramsheds there will soon be repaired and offered to residents, who will need to only pay a small deposit for a key to be able to use the sheds to store bikes or other items. The Woolwich Road roundabout (also known as the Angerstein Roundabout) is a notorious accident blackspot which is on the CS4 route and should be made easier to cycle through ahead of CS4’s completion. At the Royal Standard, work will start soon on a short stretch of cycle path, suggested by Greenwich Cyclists, making it a lot easier for those cycling eastbound from Vanbrugh Park to reach Old Dover Road without having to go all the way around the one-way system. Even the 853 blog (not always a cheerleader for Greenwich’s Labour council) seems impressed by the plans, having guardedly welcomed new cycle lanes on the A206 last year, though 853 is right to point out that the council could consult better on such proposals online. If you have suggestions about how local roads can be made safer for cyclists, Labour’s candidates in Blackheath Westcombe ward would like to hear them – please email us at bwlabour@googlemail.com. The council also has an online form to suggest ways to make highways safer for cyclists (click here). You may be aware that the London Cycle Campaign is asking its members to engage with the candidates in the forthcoming local elections. 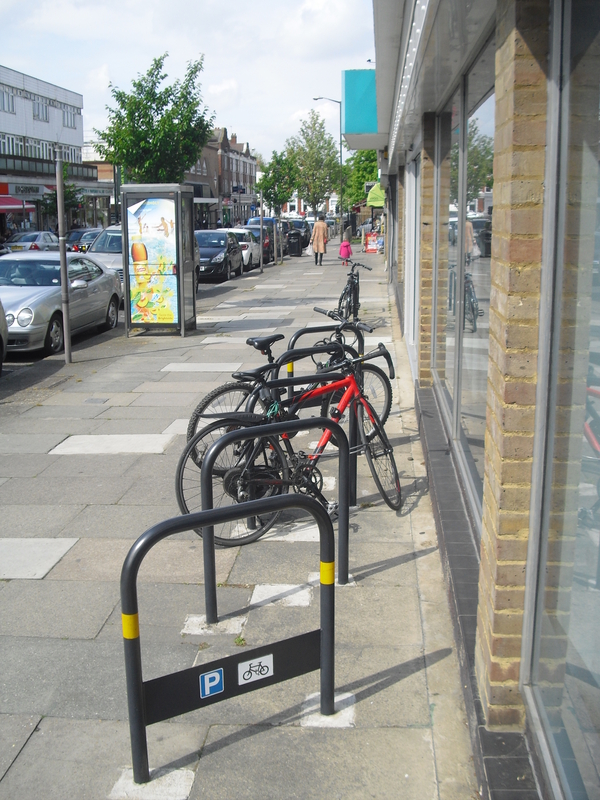 Are the Labour candidates in Blackheath Westcombe ward willing to sign up the Space for Cycling principles? Dear Mark, the short answer is yes. Labour’s candidates Paul Morrissey, Cherry Parker and Damien Welfare support these principles and are replying to you in more detail by email. Fabulous! Once Messrs Morrisey and Welfare have registered their support with the LCC then we have all candidates from all parties in Blackheath Westcombe signed up to Space for Cycling. Thank you for your positive response. Dear Mark, I am happy to support the Space for Cycling principles, and am pleased by the measures to assist cycling that the Labour council in Greenwich has introduced in Blackheath Westcombe ward. The email address for candidates to register their support is spaceforcycling@lcc.org.uk.